I really don't know how to present this so I'll just present it as it is. Border wall is a big deal in the South and even Hillary has shown support for it in the past. 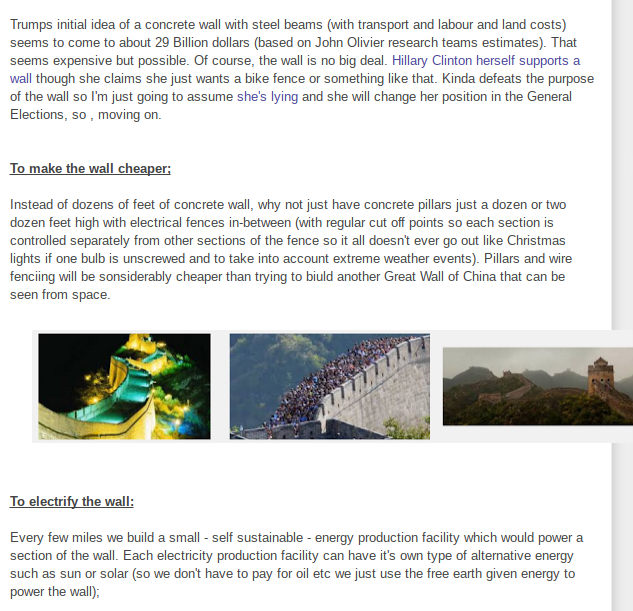 My idea was to electrify the wall using renewable energy and selling the extra energy created to make money... maybe even selling it to Mexico. Trump took that idea and changed it to a "solar paneled border wall". If this works I clearly should be elected President (Vote for - or write in - @DeadPoolLiberty for President in 2020... or Oklahoma Senate in 2022). 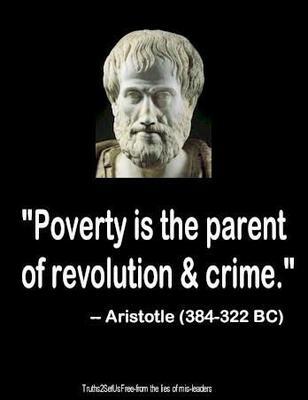 WHATEVER TRUMP IS SELLING, HIS SUPPORTERS ARE BUYING 6/22/2017 President Trump is met with applause after saying the U.S.-Mexico border wall will be made of solar panels and bragging that his cabinet is filled with Wall Street bankers. 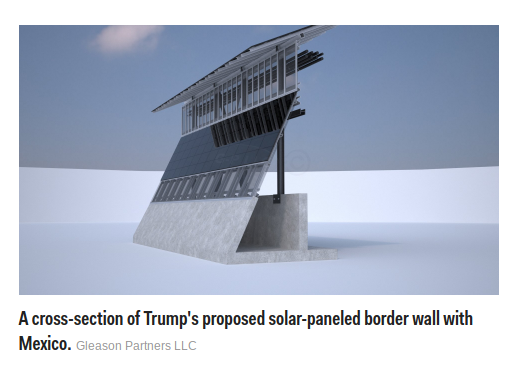 Trump clearly got his solar paneled border wall idea from my post. 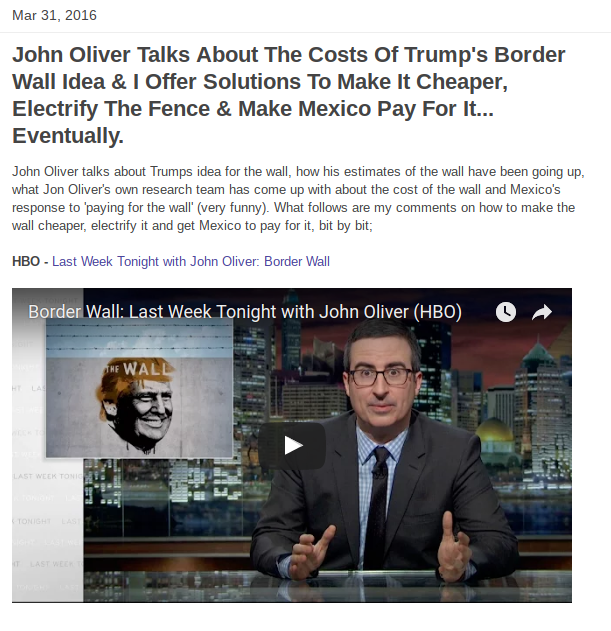 Note: My electrified border fence idea actually goes back to 2013 when I put it on my joke - Twitter - platform for the Oklahoma Senate/Congress. President Donald Trump wants to deliver on one of the central promises of his campaign — building a wall on the Mexican border. He pitched Republican leaders on June 6 on a proposal to cover the wall with solar panels and use the electricity generated to cover the costs of construction and maintenance. 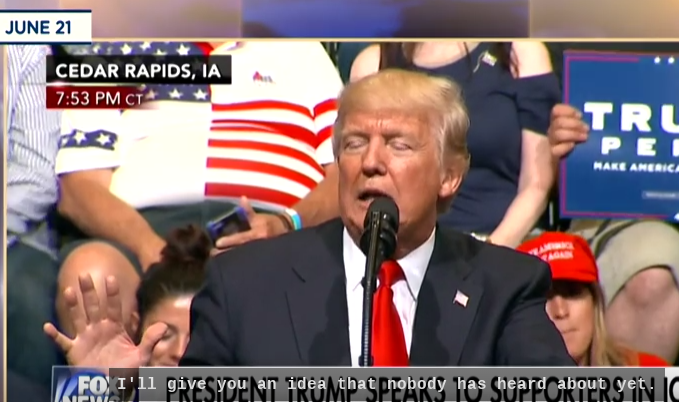 Trump mentioned the hypothetical solar wall during a rally in Cedar Rapids, Iowa, on Wednesday night, saying "this way, Mexico will have to pay much less money," as his supporters applauded.